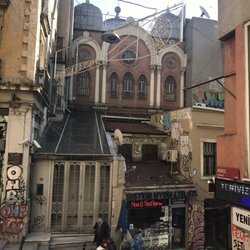 The Ashkenazi Synagogue is an Ashkenazi synagogue located near the Galata Tower in Karaköy neighborhood of Beyoğlu in Istanbul, Turkey. It is the only currently active Ashkenazi synagogue in Istanbul open to visits and prayers. The synagogue was founded by Jews of Austrian origin in 1900.